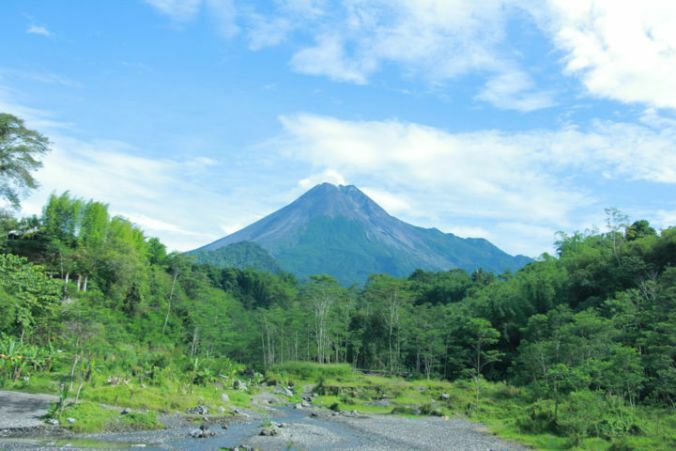 Mount Merapi is located in the province of the special region of Yogyakarta. This mountain is one of the most active mountains in the world. In fact, this mountain has a four-year cycle for eruption. A devastating eruption occurred in 2010 which caused quite a lot of casualties. This active mountain has erupted tremendously. According to history, The Volcanic ash can hoard Borobudur temples and the earthquakes destroyed The ancient Mataram Kingdom. The impact of the devastating eruption in 2010 is still felt today. Some villages on the slopes of the mountain are lost, buried by the material that comes out from Mount Merapi. The forest and the nearest village also scorched by pyroclastic flows. Javanese call it “Wedhus Gembel”. The condition of the Merapi community after the eruption was quite heartbreaking. Many of them lost their homes, jobs, livestock and even their family members. However, the people around Mount Merapi did not seem to give up on that situation. Again, creativity can change the worst conditions into favorable conditions. The situation of the Merapi’s region after the 2010 eruption was similar to a desert. Arid, dusty and no life in a 5 km radius. People around Mount Merapi with a high awareness, trying to rise creatively and offers the potential of the circumstances after the eruption in 2010. 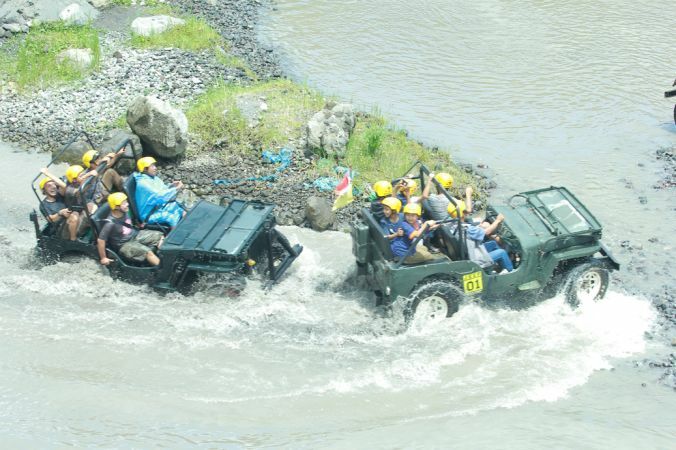 They offering Jeep Adventure Tours (The adventure tours that using a classic jeeps). Visitors are invited to see and feels the impact of the Merapi eruption that occurs in 2010. Start from The Lost Villages, go to Post-eruption Relics, Visits Bunkers (Safety shelter from hot clouds / Pyroclasts), then travel along the Kali Kuning rivers. We bet, It will be a very interesting and memorable experience. By driving a jeep around, you will be understand even though Mount Merapi was very fierce, but its still faithfully provides fertility in the surrounding area and provides fortune for people around. The village situation after the eruption. The phenomenon of large rocks that resemble aliens. Visits safety bunkers and walking around lava fields. Stay on a pile of lava (All the large stones there, are forms by a cold lava. the stones comes out when the content of Magma has reached the highest storage level). You will lose a lot if don’t try this exciting tours, when you have arrived there. 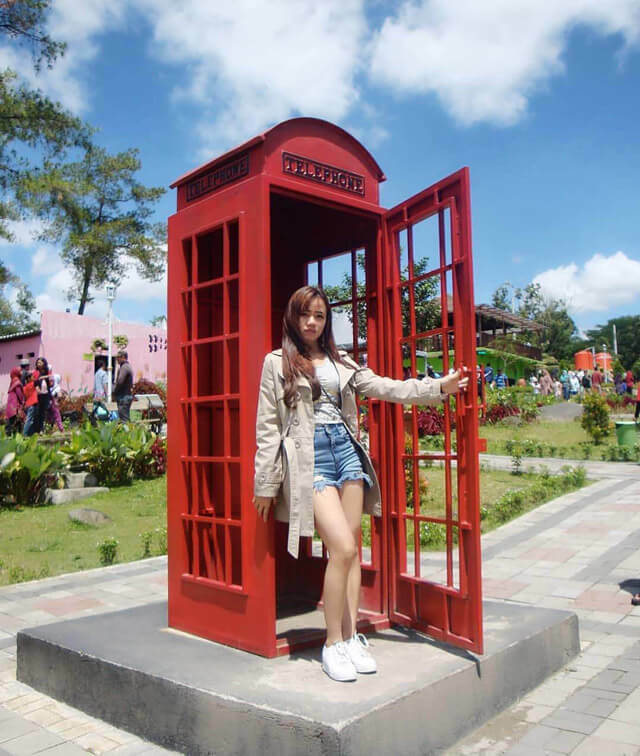 Around the areal of Mount Merapi there are several spots that should be visited as a tourism, such as The Lost World Castle, Stone Henge Miniature, Safety Bunker and a classic coffee shops. 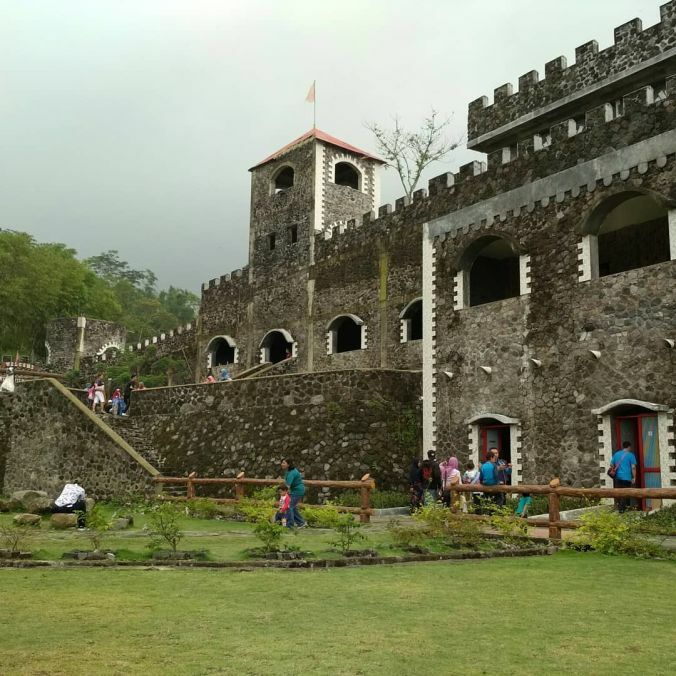 A little bit further away, there are the World Landmark, Festival Of Light at Kaliurang Rainbow Park and Ullen Sentalu Museum. The area under Mount Merapi, precisely in Kaliurang, also has many representative lodgings. The freshness atmosphere around there, widely used by people as a resting places. Despite this mountain often erupts from time to time, however, it makes the surrounding land very fertile for agricultural land. The area around the mountain is also very good for farming. That is why agribusiness and animal husbandry can develop well. People can grow zalacca, coffee plants, and flowers. The sand mining business is also developing well. Sand mining is an activity to collect the rest of the eruption. The sand from the eruption of Mount Merapi is a very high-quality material for building a house. Mount Merapi sometimes has to take out what’s in its stomach for a moment. This gives fertility to the surrounding area, though, it can cause a momentary disaster.